I’ve made a few visits to a favourite spot for Small Pearl-bordered Fritillary in the Forest this week, but it’s taken until today to see any. It was a scorching afternoon, but the first half hour produced nothing but Common Blue and the odd Dingy Skipper. Just as I was about to move on to another site, a flash of orange passed in front of me – the first of maybe 10-15, all looking very fresh. 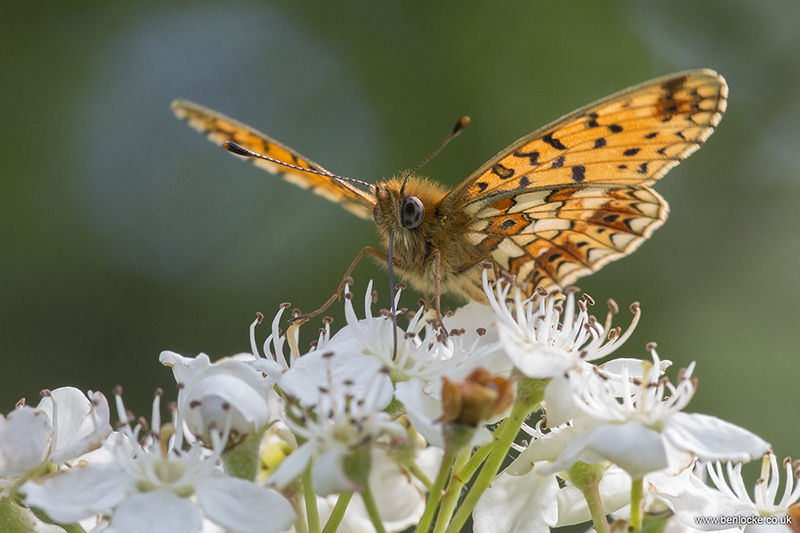 This butterfly, like the Pearl-bordered Fritillary, gets its name from the series of “pearls” that run along the outside edge of the underside of the hindwing. Well timed and beautifully caught.